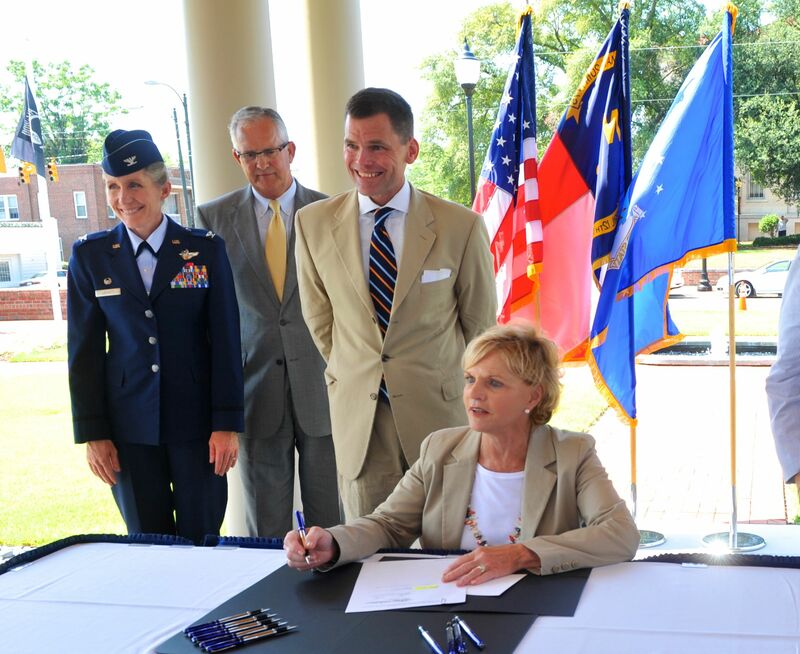 Governor Bev Perdue signed HB799 into law in a ceremony in Goldsboro, the home of Seymour-Johnson Air Force Base. HB799 was introduced by Rep. Grier Martin (D-Wake) and Rep. Ric Killian (R-Mecklenburg). The new law will make it easier for military spouses with another state’s professional license to obtain a comparable license in North Carolina. The law will also help servicemembers leaving active duty to have their experience help them get a professional license in North Carolina. Read more about the bill signing here. This entry was posted in Uncategorized and tagged military/veterans. Bookmark the permalink. Post a comment or leave a trackback: Trackback URL.